At the beginning of September the Salvatorian community in Australia gathered on Regional Chapter to reflect on the past in order to look forward into the future. Theme of the Regional Chapter was taken from the Year of Grace “Starting afresh from Christ”. Before the formal meeting sessions Archbishop Timothy Costelloe SDB shared few thoughts on religious life and introduced the theme of the Year of Grace. In his reflection he spoke about faithfulness in three aspects: to be faithful to our origin, to our history and to our present time in order to fulfil our mission and call. Under this inspiration were carried the sessions with reflection on the ongoing formation, the Salvatorian family and its apostolic life. Chapter meeting was also a time for the election of the new Regional Council. 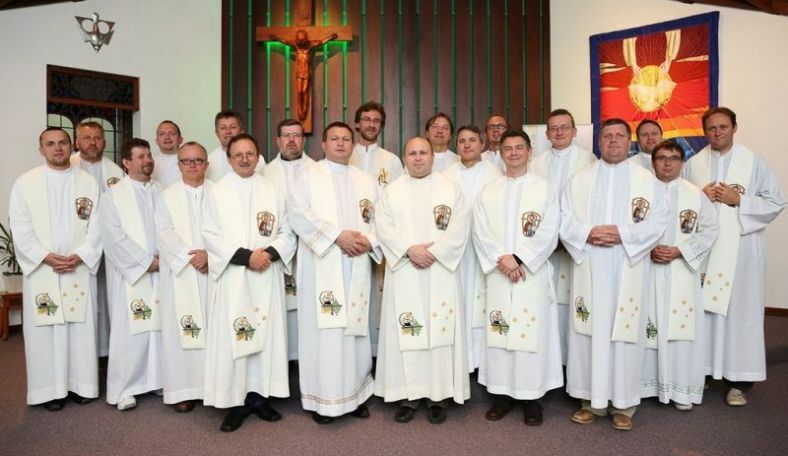 Fr Karol Kulczycki was elected again as a Regional Superior and will be supported by council members: Fr Bronisalw Pietrusewicz, Fr Stanislaw Bendkowski, Fr Zygmunt Smigowski and Fr Dariusz Krzysztalowicz.